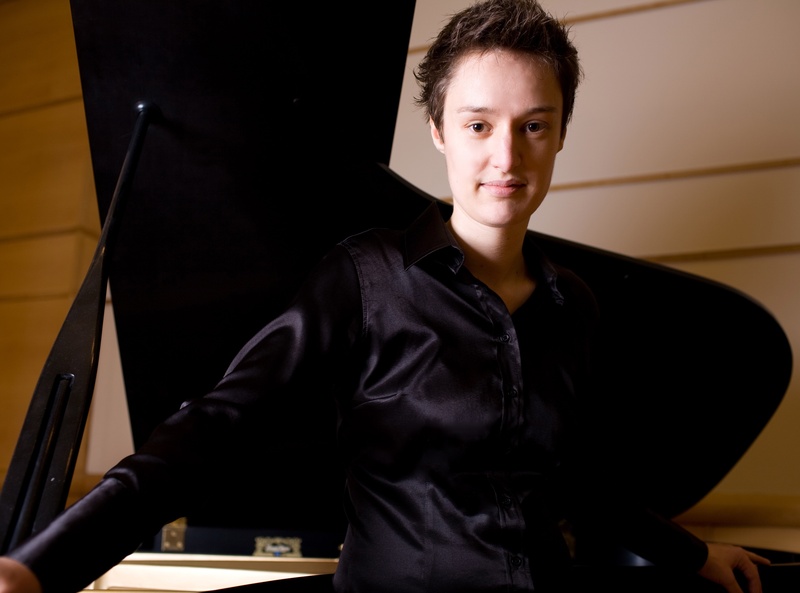 Pianist Isabelle O’Connell plays the Baryshnikov Arts Center | Will You Miss Me When I'm Gone? Don’t be fooled by Isabelle O’Connell‘s quiet demeanor and casual look. This young Irish pianist is a powerhouse at the keyboard. I first saw and heard her play at the Bang on a Can Summer Music Festival at MASS MoCA in 2006. Her work there with Meredith Monk and the Bang on a Can All-Stars was remarkable. I’ve heard her play a number of times since then, including her appearance earlier this year with Irish new music group Crash Ensemble. Her playing is controlled but powerful and her concentration intense. She’s a well-trained player, holding a Master’s degree from the Manhattan School of Music and a Bachelor’s degree from the Royal Irish Academy of Music. On Sunday, Sept. 19, O’Connell is celebrating the release of her new CD, Reservoir, with a concert at the Baryshnikov Arts Center in New York City. She’s sharing the bill with MIVOS string quartet (performing without Ned Rothenberg, who is unable to play as scheduled) and guitarist Simon Jermyn. O’Connell’s solo album is a great collection of new music that showcases her keyboard talents. Crash Ensemble founder Donnacha Dennehy composed the title piece, inspired by a video of a man gradually being submerged in water. Another standout on the disc is Jennifer Walshe’s “becher,” a fantastic montage of “micro-quotations” from familiar piano works of all sorts, from Mozart to the Beatles. You’ll have a great time trying to identify them all. 7 p.m. Sunday, Sept. 19. The Baryshnikov Arts Center, 450 West 37th Street, between Ninth and Tenth Avenues, Manhattan. http://www.bacnyc.org. $10. This entry was posted in Concerts, Music and tagged Bang on a Can, Bang on a Can All-Stars, Donnacha Dennehy, Isabelle O'Connell, MIVOE, Ned Rothenberg, Simon Jermyn. Bookmark the permalink.